The three shades of blue colour text in a circular design is surrounded by colourful delicate spring flowers and vines. 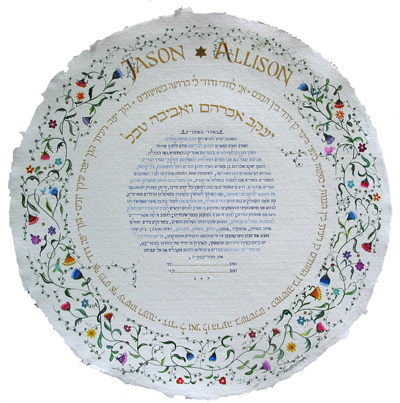 Verses from "Song of Songs" are written in gold paint around the text. The names of the Bride and Groom are in gold paint above the text and in the illumination.